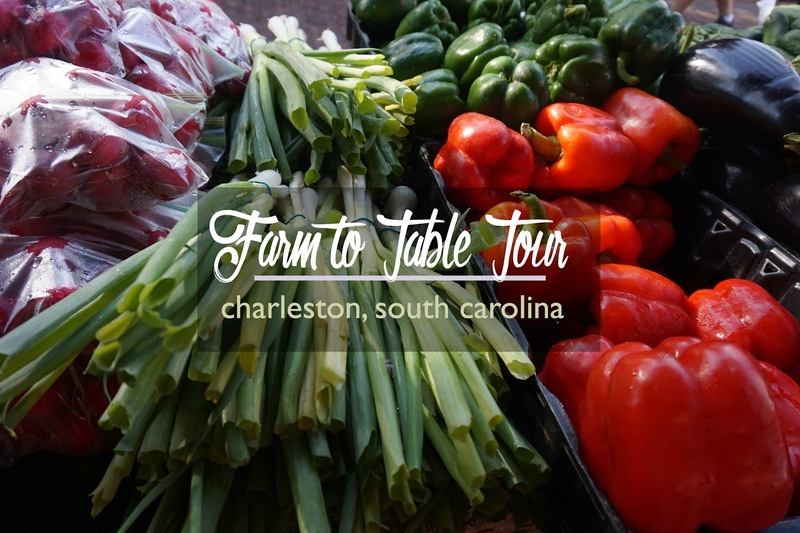 Farm to Table Tour in Charleston SC Historic District: Best Food Tour in Charleston? As a native of Charleston, South Carolina, there's not much that I haven't had the chance to experience. But, every once in a while, I stumble upon a new and exciting way to explore my hometown. Recently, I had the opportunity to take a farm to table tour in Charleston, and I came away with a new appreciation for the delicious food that this region offers and the talented people who make those meals happen at every step. On your next trip to the South, skip the big cities like Atlanta and Orlando, and head to Macon, Georgia, instead. With a rich past, a surprising musical history, and gorgeous outdoor activities, Macon mixes the small town charm of the South with modern cuisine and tours. 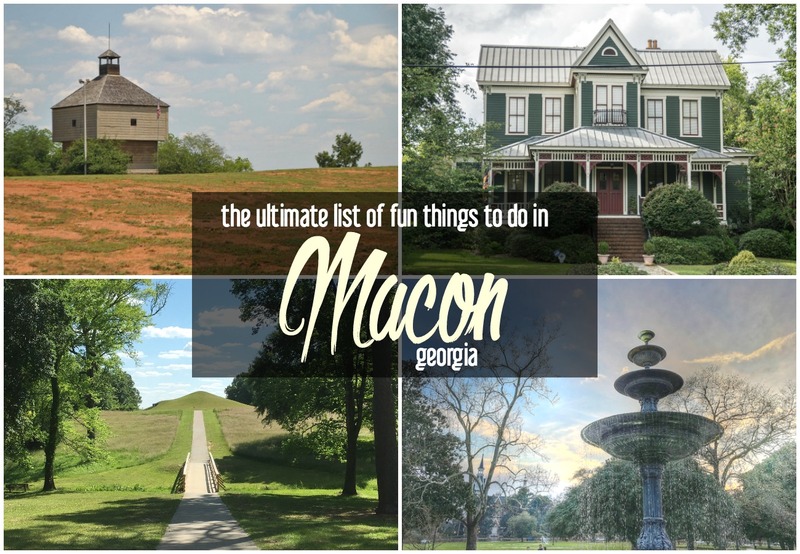 Here are my favorite fun things to do in Macon, GA, arranged by areas of interest! Disclaimer: I worked with the Great Wolf Lodge in Charlotte/ Concord, North Carolina, in order to produce this post. As always, all opinions are my own. Who wouldn't love to splash and play in a massive indoor water park for a few days? 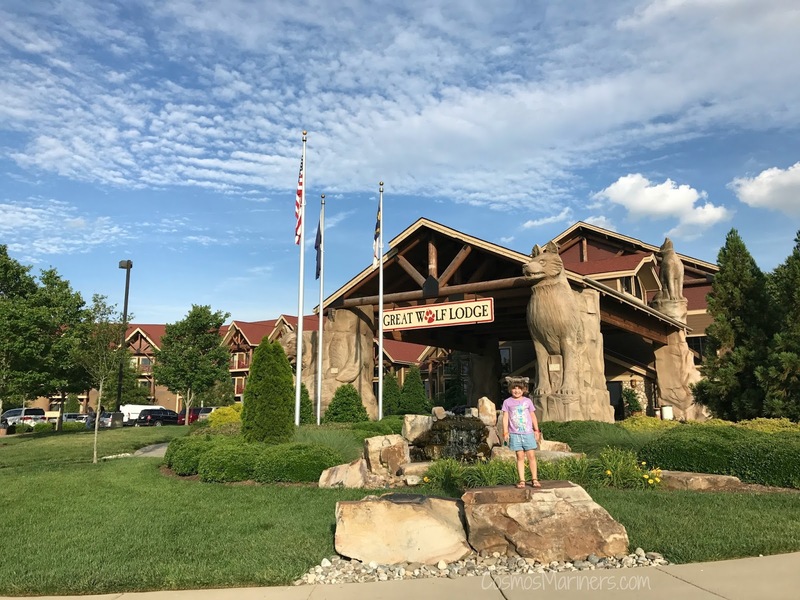 The answer, I decided, was probably no one (or, at least, no one I wanted to hang out with), so I knew that I had to head up to the Great Wolf Lodge in Charlotte/Concord, North Carolina, for some watery fun. Summer time is the time for family vacations. As soon as the temperatures start to warm up, I get antsy for our next adventure. 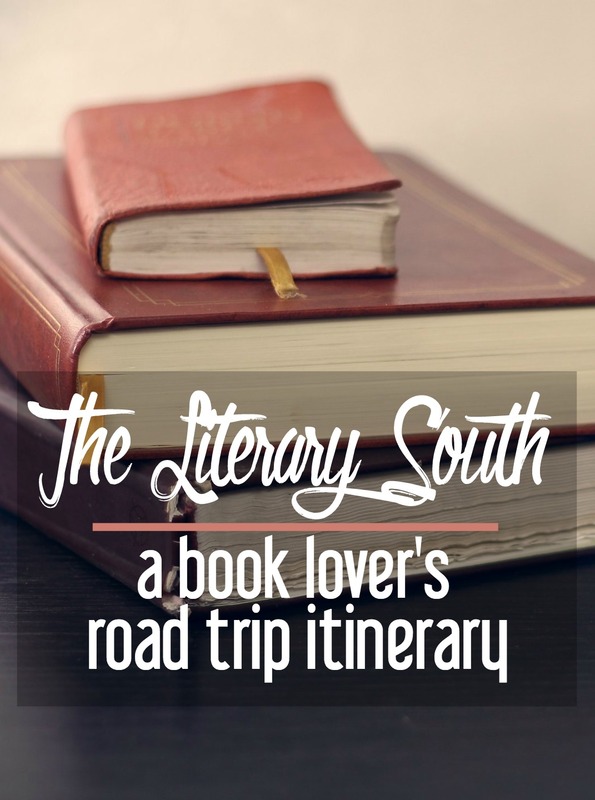 In between our 1 or 2 big trips each year, we like taking shorter trips within the Southeast: my husband and I are big believers in exploring the beautiful region we call home, so when I had the chance to visit Durham, North Carolina, with my two kids, I loaded up the car and headed up I-95. 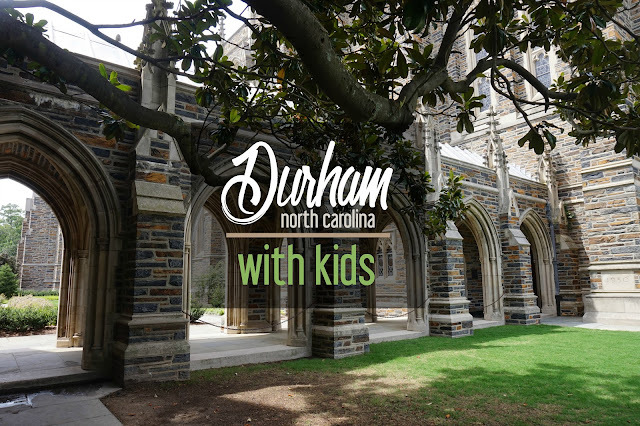 Over 2 days, we hopped, ran, ate, and explored our way through as many of the kid-friendly spots in and around Durham that we could squeeze into our packed schedule. Here are our favorite kids' activities in Durham, North Carolina! I started my Tasty Travels series a while back with the best of intentions. But, as with most best laid plans, life got in the way, and my travel-themed recipe series faded into the background. 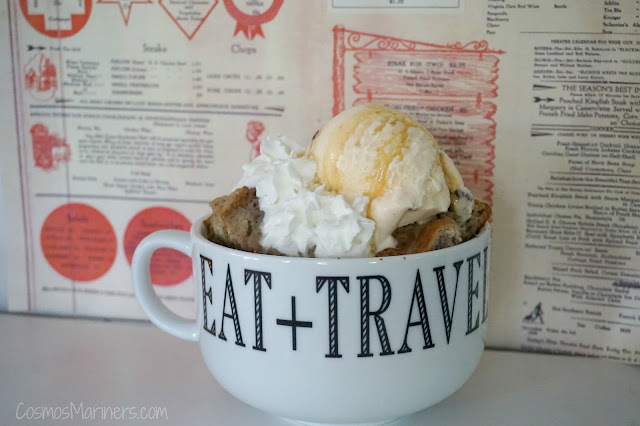 After a long hiatus, I'm excited to see if I can focus on the series again; and, to kick it off for the second time, I'm going to share one of the best dishes I've tasted in a long time: a Charleston recipe for old fashioned bread pudding. YUM! There are few places that I love to visit in Florida more than St. Augustine. Not only does the city have an incredibly deep history that spans multiple centuries, but it is also so easy to navigate on foot, it has an amazing food scene, and it's right on the Matanzas Bay for gorgeous pictures of the water. 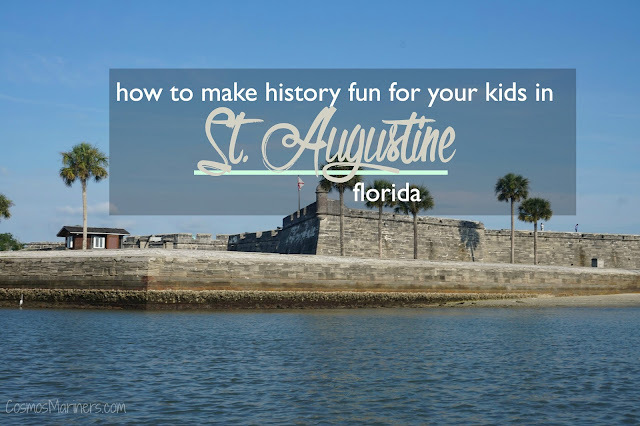 To visit St. Augustine without doing your best to understand its more than 500 years of history is to do the city a disservice. From the earliest Spanish explorers to those who fought for freedom during the Civil Rights Movement, St. Augustine has been an integral part of American history. Who doesn't love New Orleans? After all, the Big Easy is known for some of most famous haunts and watering holes in the world. However, the city is more than beads, cocktails, and Bourbon Street. New Orleans is filled with fascinating museums, saturated with art and bursting with music. 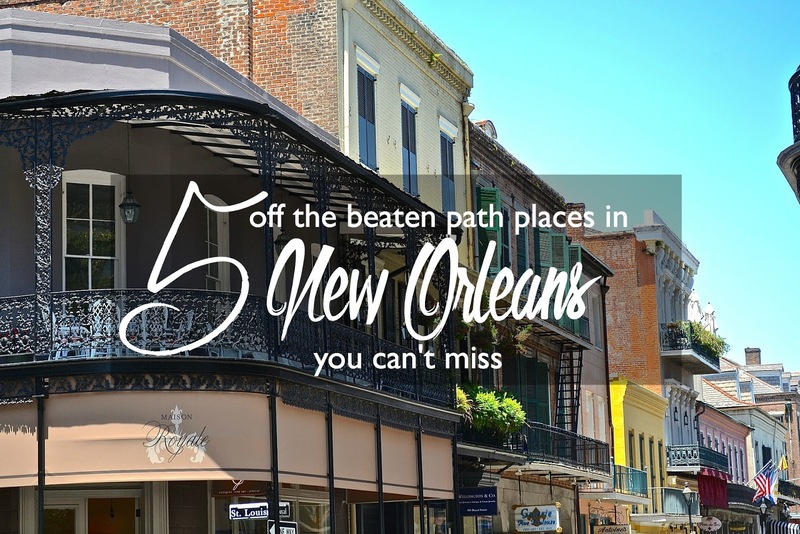 If you are looking to experience New Orleans without the hustle and bustle of the usual tourist attractions, there is a wide selection of off-the-beaten-path attractions to be found...if you know where to look. 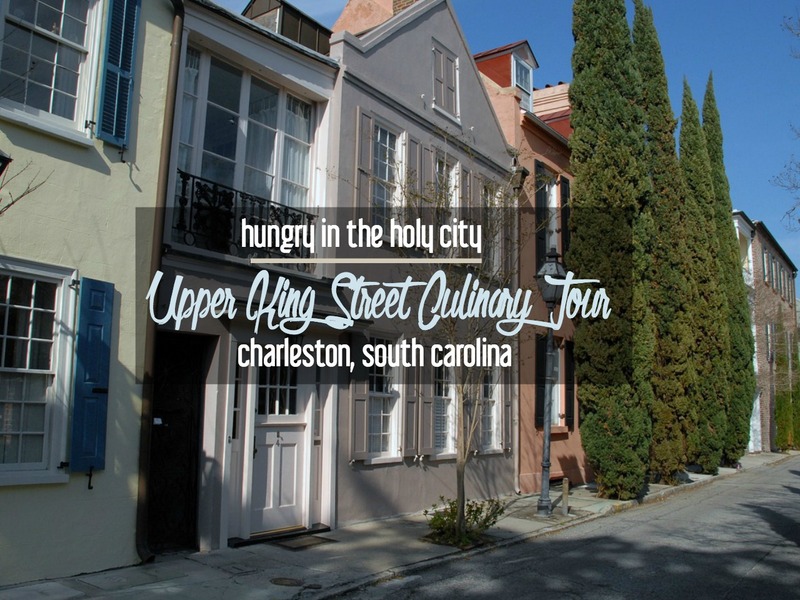 If you're interest in culinary travel, you need to add the Upper King Street Culinary Tour to your next trip to Charleston, South Carolina. Even as a born and raised Charlestonian, it's tough for me to keep up with what's new and exciting on the culinary scene since there are SO many new restaurants that have opened recently. I decided to partner with Charleston Culinary Tours and play tourist for a day to see what new eats and treats were hiding downtown. So, was the tour worth it? Could even a local learn a culinary trick or two? I went on the Upper King Culinary Tour, which promised a visit to 3 or 4 restaurants on the historic peninsula. The exact restaurants that each tour visits aren't revealed until the start of your tour since the locations change daily based on availability and each restaurant's schedule. For our tour, we visited four places: HōM, R, Lana, and Jeni's Splendid Ice Creams, none of which I'd visited before (or even heard of before the tour!). The time when my baby sister decides to be all grown up and get married. I know that she's an adult--she's gainfully employed and has a dog and a house and all that--but there's something so finite about her leaving her bachelorette days behind to move in with my soon-to-be brother-in-law. The open road (and the beach) awaits! As you cross over the North Carolina-South Carolina border on Highway 17, there's not much to indicate why this stretch of highway is worth of a dedicated road trip: there are lots of pines as far as you can see and a few ponds here and there. If you stick with the road for a bit longer, you'll soon be treated to an overview of everything that coastal South Carolina has to offer. Instead of bisecting the state on the much bigger and busier I-95 (which runs through the Midlands portion of South Carolina), you'll be able to see some of the most picturesque parts of my home state. 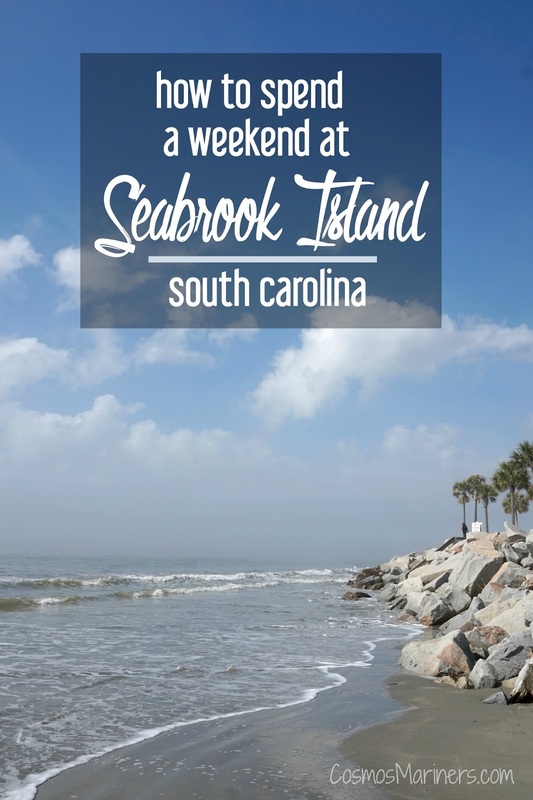 With an average speed limit of 55, South Carolina's Highway 17 allows you to meander through North Myrtle Beach and Myrtle Beach, pass through the Hammock Coast, drive through Charleston, and linger along the marshlands near Beaufort. 3) I enjoyed reading about space and dinosaurs (and, well, anything) more than I would enjoy studying astrophysics or digging for months in a hot desert. I love driving down Florida's A1A highway: the ocean is right there, and if you're not in a tropical state of mind before you get on the road, you will be within in the first quarter mile. When my daughter and I head down to the Space Coast, we didn't arrive until after dark, but I could still feel those island vibes and hear the roar of the Atlantic as we hopped on AIA and headed towards our hotel: Tuckaway Shores in Indiatlantic, Florida. 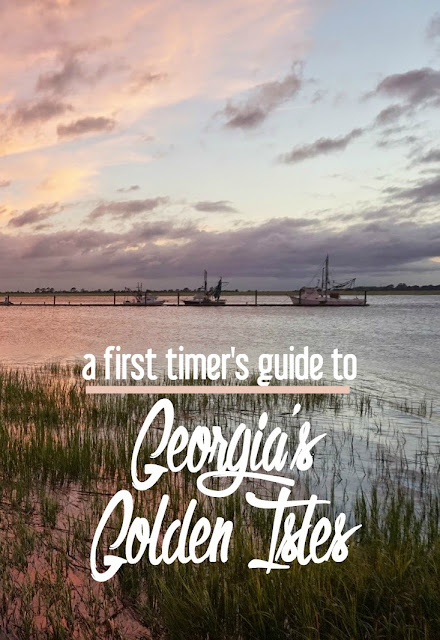 Escape to the coast and spend time on Georgia's Golden Isles. Even though I only live a few hours north of this gorgeous part of Georgia, I hadn't explored the area until just a few years ago. Once I went for the first time, I was hooked and have been back multiple times in consecutive years! The Golden Isles stretch along Georgia's coast and include four islands: St. Simons Island, Sea Island, Jekyll Island, and Little St. Simons Island. Sometimes, Cumberland Island to the south is also included in mix, too--since it's nearby, I'll throw in some tips for it as well since it's such an interesting place. Of the cities in South Carolina, Greenville is one of my favorites (second only to Charleston, of course). For a smaller city, it packs in a little bit for everyone: nature trails, museums, great restaurants, and excellent theatre. Basically, if you haven't been to this corner of Upstate South Carolina, you're missing out. 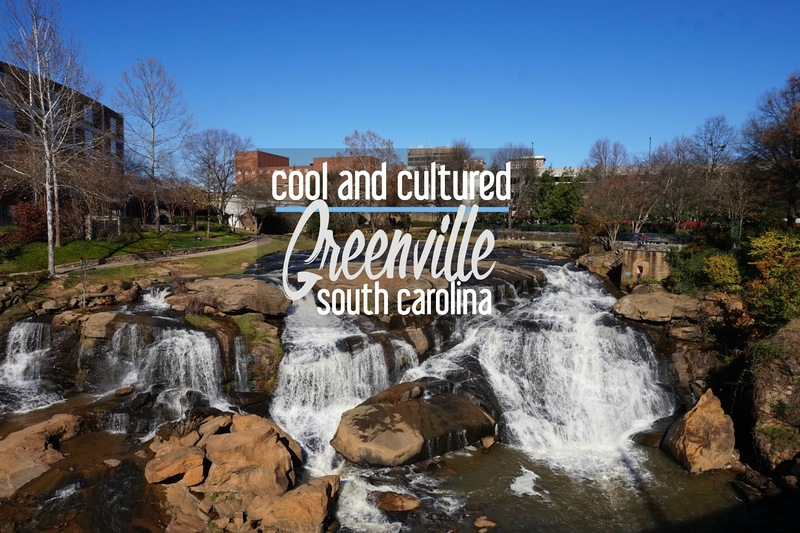 Here are my favorite fun things to do when I visit Greenville, South Carolina. Too often, you read articles about the death of small town America, the influx of big city residents, and the decline of the traditional main street. This is not one of those articles. Travelers Rest, population 4500, is only a few miles from Greenville, South Carolina. Up until a few years ago, it was just a pass-through between the industry of Greenville and the idyllic retreats of the nearby Blue Ridge Mountains. 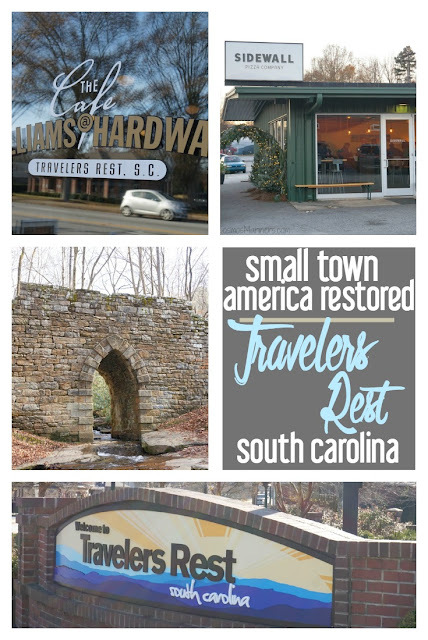 The story of Travelers Rest is like many across the country: a town grew up around the railroad, but when the railroad business left, so did the residents. Confession: I am a bibliophile. As a kid, I would hide for hours in closets, in bathrooms, and in trees to read my latest treasures from the library. As an adult, I don't get that luxury as much as I'd like to, but I still try to sneak in as much face-to-book time as my writing, blogging, and toddler will allow. In college, I started out as in philosophy (since I was told that was a good major for future law students, as I was at the time), but lasted a semester before I switched to English. Thank you to the genius who created the English major, so that I could read and learn and nerd out on novels and short stories and essays for a living! On vacation, most kids collect postcards or sweatshirts. I collected (and still do!) books on local haunted spots. At seven, I visited my grandma in Myrtle Beach and found a copy of Nancy Rhyne's Coastal Ghosts--and an obsession was born. My bookshelf now struggles under the weight of all of my ghost story books, but I'm still on the lookout for more! Despite the fact that I may be the biggest chicken alive, I love the thrill of reading a ghost story or going on a ghost tour. There's so much history, intrigue, and underbelly-of-the-city activity wrapped up in all of them that keeps me going back for more. Since Halloween is right around the corner, I thought it would be fun to round up a few of my favorite haunted spots and share them alongside some other bloggers' favorites. As I was carrying my bags up to my room earlier this year, another guest greeted me in the hallway and said, "You know this place is haunted, right?" He then proceeded to tell me that during his last stay, he and his wife had listened to the sound of little girls laughing in the hallway outside their room all night. 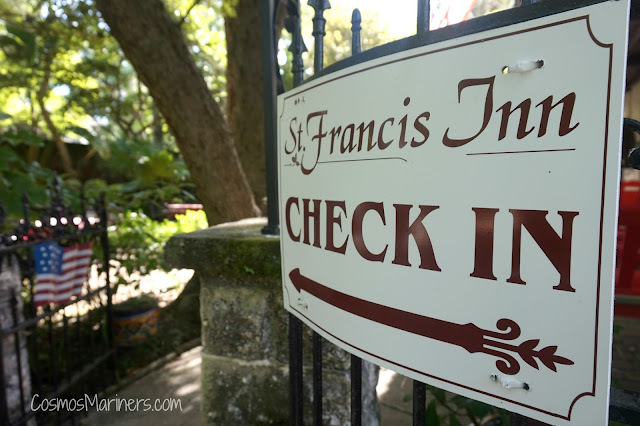 I later found out that the St. Francis Inn is a hotbed of activity. One of the desk managers told us that she often sees things moving out of the corner of her eye, that televisions turn on without anyone being in the room, and something keeps opening and closing the doors of the washer and dryer. Given that the inn has been in existence since 1791, it's no wonder that a few residents might have wanted to stick around the property. I may or may not have slept fitfully during my entire three night stay! It's tough to try and rest while you're simultaneously keeping an ear out for spirits. 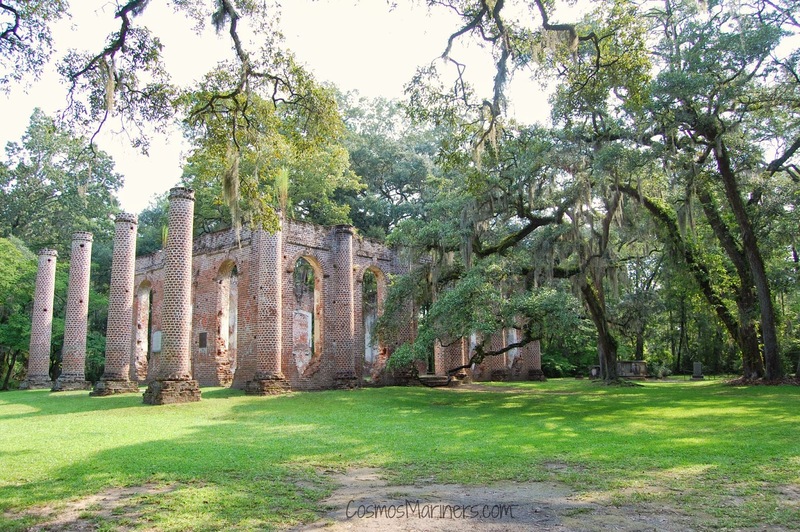 This gorgeous shell of a church is hidden away off of Highway 17 between Charleston and Hilton Head, but it is well worth a quick detour. During the day, it's awe inspiring to walk between the large columns and imagine what the place looked like before it was burned. 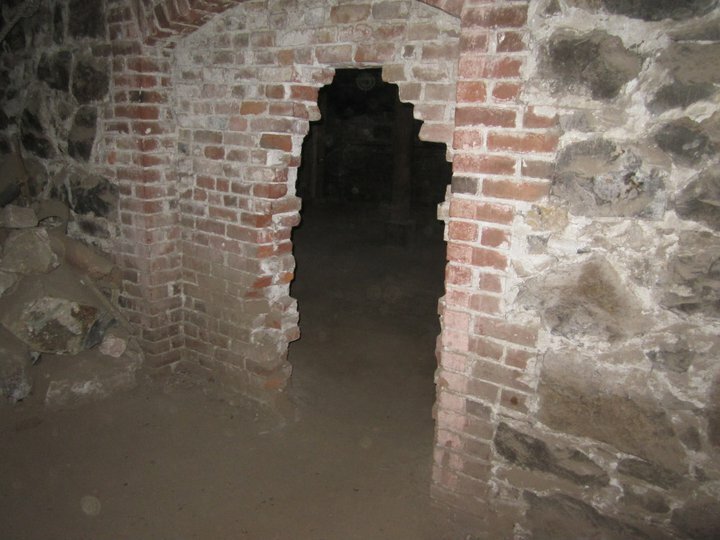 At night, however, you might just run into one of the spirits that prowl this area. There's supposedly a woman who's looking for her baby: she's buried on the property in the small graveyard. One of my sister's former co-workers, a normally unshakeable police officer, had a hobby of going out on paranormal investigations around Charleston. When he visited the Old Sheldon Church, he and his team distinctly heard a female voice wailing in the dark. The ruins aren't close to any other houses or buildings, so they weren't sure what they were hearing! In it's heyday, the Portland Underground was a hotbed of horrors and illegal activity. It was home to prostitutes, the homeless, and criminals-both on the run and in current crime. These catacombs became known as the Shanghai Tunnels due to the amount of shanghaiing that occurred at that time, which the law tried to combat by hanging signs encouraging sailors and individuals to call home. The vast majority of sailors, ranch hands, hard-workers-and even children-were kidnapped, dragged through the tunnels, and sold to sea-captains to work on boats or be sold along the voyage. These days, the tunnels are shut down, but you can purchase a tour and learn the history for yourself as you're led through the various abandoned rooms and vaults hiding beneath a very active city. The host will tell you about the various ghosts that are said to haunt the tombs, which are still partially furnished and still contain some items that were left behind by prostitutes, thieves, and children that passed through. They even offer a reward for anyone who is able to capture a spirit on camera. 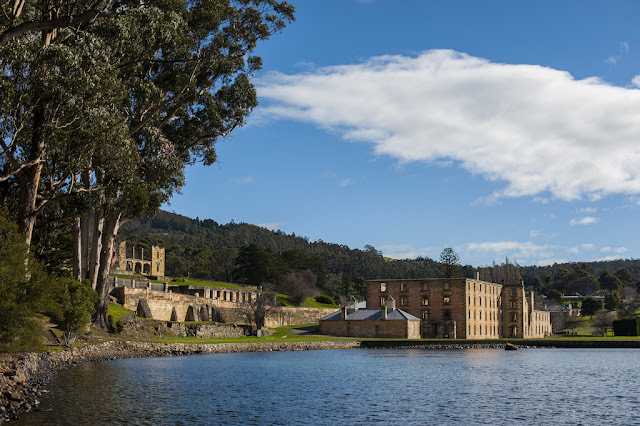 Unfortunately we didn't see one first hand, but this tour was definitely worth it because the history is rich and the atmosphere is very eerie! I entered a room in one of the old, still-intact buildings and started to read the information plaque on the wall. But then I sensed something… I felt chilled, and was certain there was someone else in the room. I looked around the room, but there was no one there. And then I started to read about the supposed hauntings that had taken place in that very room over the years. I quickly hurried away to find my family, and quickly head back out into the bright sunshine outside. Is it worth visiting? Yes, it’s a fascinating place, with beautiful old buildings, many just ruined shells. But I would advise you to stay away from the nighttime ghost tours! 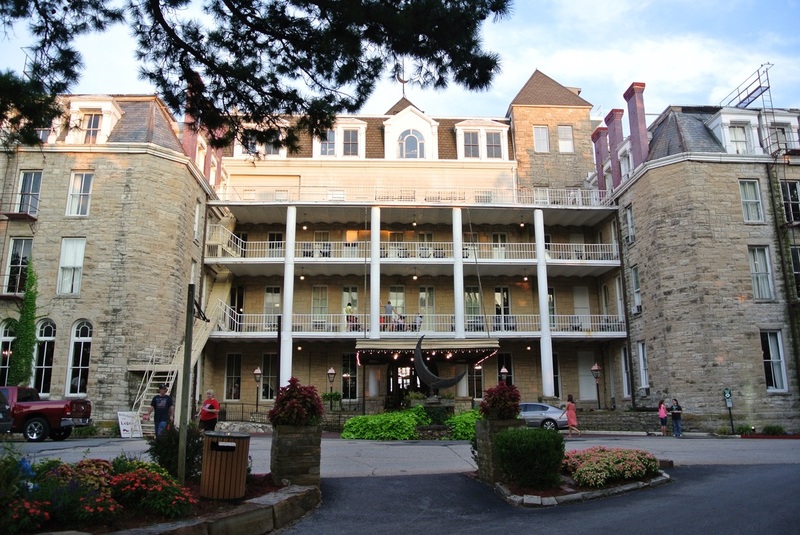 The Crescent Hotel in Eureka Springs, Arkansas, is said to be the most haunted hotel in America. It got this way due to several deaths there over the course of its 100+ year existence, including the deaths of many cancer patients hoping to be healed when it served as Dr. Baker’s hoax hospital. The Crescent is nothing short of creepy, and the best part is that there are nightly tours of both the hotel and the extra disturbing morgue. We took the tour for the first time in 2014, and while it was full of interesting tales of the ghostly residents, it was also very history-heavy, which was great for my lovely companion, who is much less ghost story inclined than I am. Because the hotel is still in operation, you can do one better than the tour and stay in the hotel overnight. We were not brave enough to do this, but you can choose to stay in the rooms said to be most haunted if you’re up for it! And just for kicks and giggles, you can also check out the scariest destinations in the world, as suggested by Travel Observers blog. Are you ready to visit all of these places? 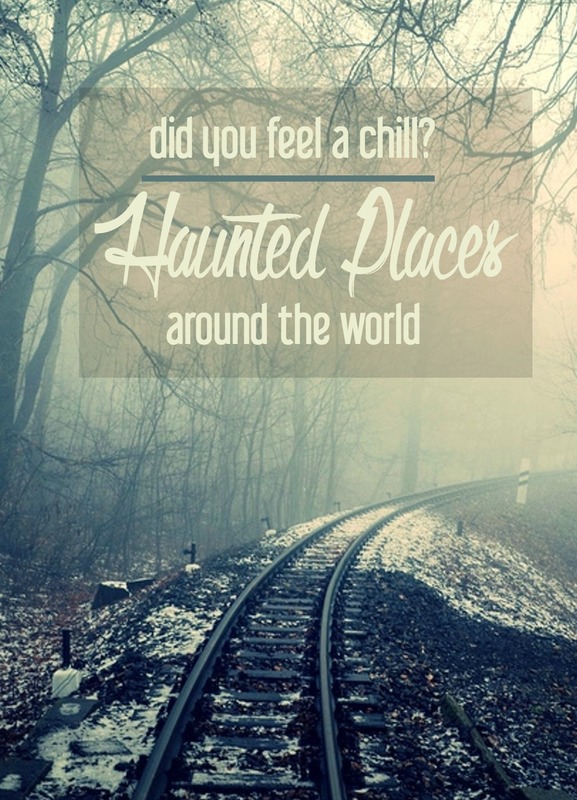 What haunted spots have you visited? Do you have any ghost tour recommendations? This post contains affiliate links. If you choose to purchase through one of the above links, I will receive a small commission at no additional charge to you. Want even more travel goodness? Sign up for the newsletter and get the latest Cosmos Mariners updates, giveaways, and travel news right to your inbox! 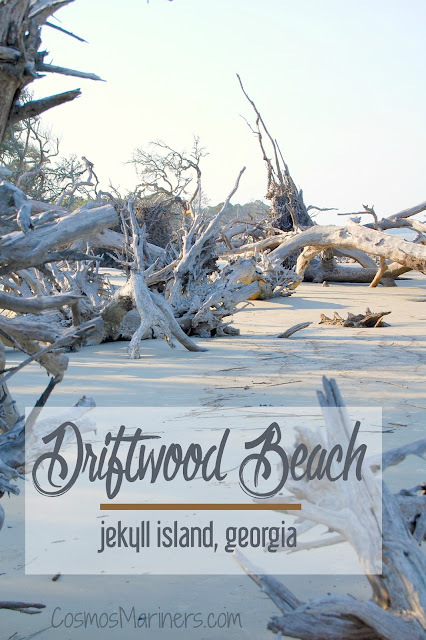 There are many reasons why you'd want to visit Jekyll Island, Georgia. Hugging the western coast of Florida just outside of St. Petersburg is a 23-mile stretch of white sand and blue water. Welcome to the St. Pete Beach/ Clearwater area! From Caladesi Island State Park at the northernmost point to Pass-a-Grille at the bottom, this beautiful collection of beaches and resorts has something for everyone. 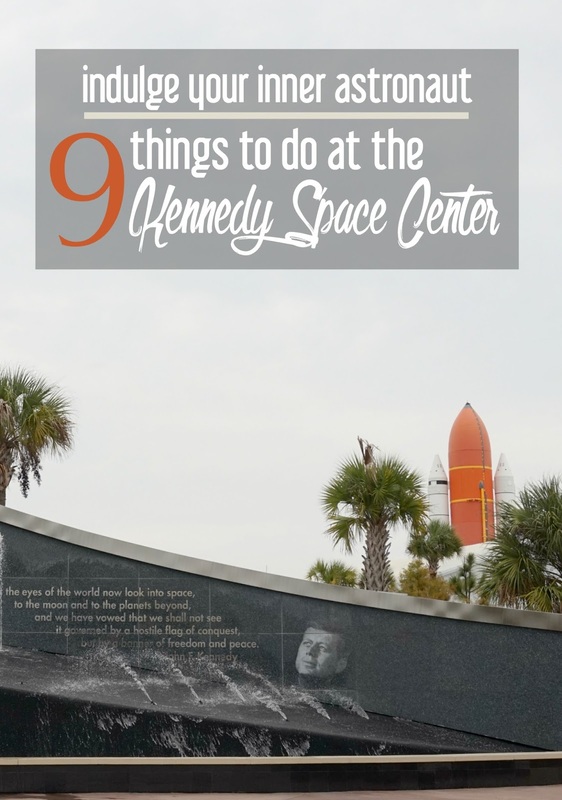 Whether you're visiting for the day from Tampa or downtown St. Petersburg, or you're here for a week long family vacation, you'll be dazzled by the wide, flat beaches, the stunning sunsets, and the wide variety of activities. Plus, there's plenty of history along the way for people who want their beach vacation to have a side of culture! Although the area is often referred to as St. Pete Beach or St. Pete Beach/ Clearwater, this stretch of Gulf Coast is actually composed of a series of communities, each with their own feel. Pass-a-Grille, in the south, is eclectic with a bit of a hippy vibe while St. Pete Beach is filled with high rises, lots of gift shops and restaurants, and a lively, happening atmosphere. 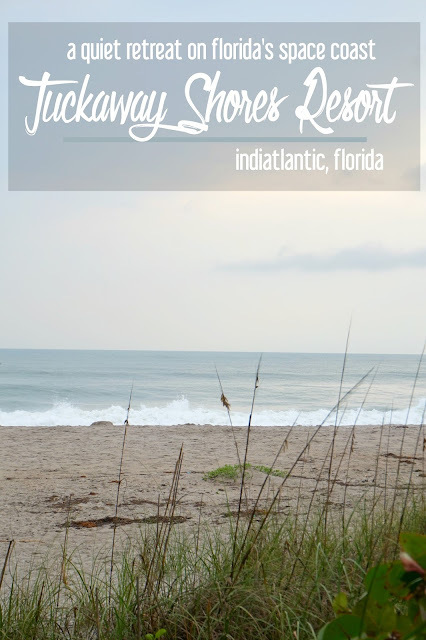 Indian Shores and Indian Rocks Beach are both laid back and homey feeling; Belleair Shore and Belleair Beach have some beautiful--and gigantic--houses! Clearwater, at the top of this stretch, always has something going on, and you'll find plenty of restaurants, dancing, and gift shops. 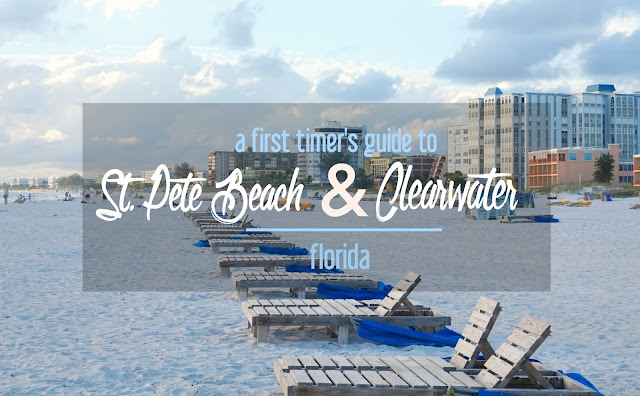 As this area is a favorite vacation spot (Clearwater Beach alone draws around 4 million visitors a year), you'll find hundreds of apartments, condos, hotel rooms, and camping spots up and down the beach. I've had the pleasure of staying at several locations during my visits; while I have personal experience with these and can recommend them, this is in no way a comprehensive list! Don CeSar Hotel, St. Pete Beach. The Pink Palace defined the beach vacation for the rich and famous for a decade--during the 1920s, the Don CeSar was the place to see and be seen. It's been completely restored, so you can now stay where F. Scott Fitzgerald rested his head. The view from our apartment at Cay Pointe Villas, Indian Rocks Beach. One thing I love about this stretch of the Gulf Coast is that there are only a few national chains. Stop into one of the many locally owned restaurants for fresh seafood, a quick breakfast, or some evening cocktails. Having fun at Hurricane Restaurant in Pass-a-Grille! Hurricane Restaurant, Pass-a-Grille. I had some of the best blackened chicken alfredo I've ever tried here, and my husband loved the grouper. It's right on Gulf Way in Pass-a-Grille, so you can watch the sun go down in the evenings or do some people watching! Shaner's Land and Sea Market, Pass-a-Grille. On our last trip to the area, my husband, my toddler, and I stopped by here at least three times. There's a delicious sandwich counter for quick lunches, and a huge selection of freshly caught seafood in the back. I loved the stuffed chicken breasts--we had those two nights in a row. The market also offers a small selection of grocery basics (fruit, veggies, beer, bread). Lighthouse Donuts, Indian Rocks Beach. 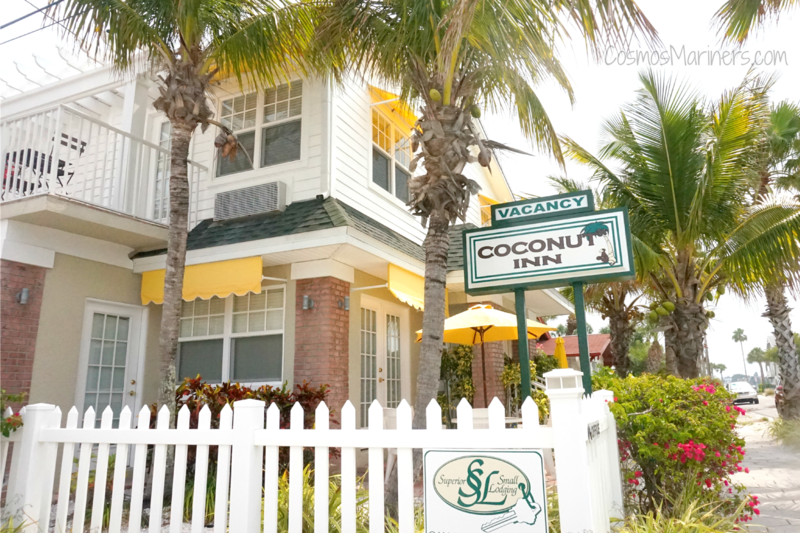 On our first morning of our first visit to the St. Pete Beach area, Landon and I discovered this place, and it quickly became a favorite. The doughnuts are freshly made each morning, and they've got a nice selection of coffees, bagels, and breakfast sandwiches as well. Toucan's Bar and Grill, Clearwater Beach. After we'd attempted Frenchy's one night and discovered a 2 hour wait, we began to wander in search of food and came across this place. It's nothing fancy--a sports bar, really--but it's a sports bar with a great view. Try to eat outside if the weather's nice: you'll be able to people watch, and you'll have a view of the Gulf. 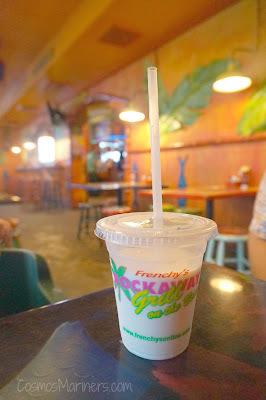 Frenchy's Rockaway, Clearwater Beach. This place is a Clearwater institution, and the hours-long wait is a testament to that fact. To beat the crowds, we went right as they opened one morning. After eating there, we were glad we'd found a way to try it out. The conch fritters and spicy dipping sauce were worth the entire trip. I've also heard amazing things about Snappers Sea Grille (St. Pete Beach), Crabby Bill's (Clearwater), and Seared 1200 Chophouse (St. Pete Beach) from my readers, but I haven't had the chance to try them out myself. Next time! The main attraction here is, of course, the beach! Most of what's offered here revolves around that. Try stand-up paddleboarding in Pass-a-Grille, or see how long you can stay on one of those huge water trikes in St. Pete Beach. Clearwater offers multiple parasailing outfitters from which to choose. Kayak rentals are a great way to see this stretch of island from the bay side. Many hotels also offer bike and fishing rod rentals. Don't forget to do that staple of beach vacations: go putt-putting! There are plenty of courses all along this area. We had a blast one night at Smuggler's Cove in Indian Shores, where you can pause halfway through your game to feed some alligators. Spend the day at Caladesi Island State Park or Honeymoon Island. Caladesi Island is only accessible by ferry, kayak or personal boat, so it's one of your last chances to see a Florida beach completely unspoiled! Honeymoon Island was Florida's most visited state park for the last six years. Don't forget to go to Pier 60 in Clearwater at least once on your trip. There's a nightly festival held there (much like the one in Key West's Mallory Square) two hours before and two hours after the sunset. Check out the street performers and see what the local crafters have on offer. 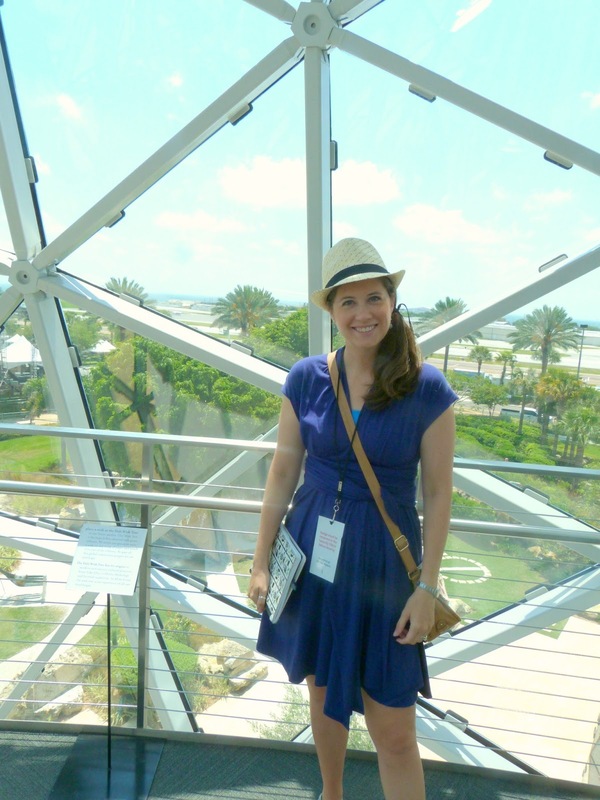 Downtown St. Petersburg is only a quick car ride away, where you can experience the Dali Museum, and the Chihuly Collection, and see glassblowing at the Morean Arts Center. Historic Fort De Soto is just south of Pass-a-Grille and makes for an easy day trip: rent a bike, surrey, or kayak, and bring a picnic. Our surrey at Fort De Soto! 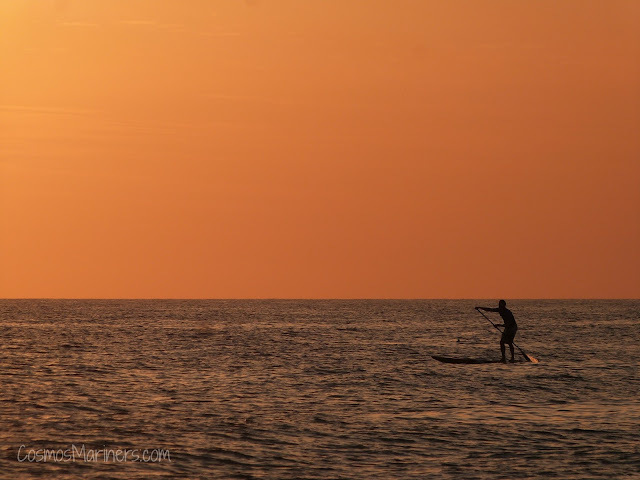 While the stretch of land from Pass-a-Grille to Clearwater is only 23 miles long, you won't go anywhere quickly. If you have dinner or activity reservations, make sure to allot plenty of transit time. Between the busy areas of St. Pete Beach and Clearwater, stoplights, and everyone being on island time, traffic is often fairly slow. Make sure you clarify which side of the land your hotel is on. There's water on both sides of the St. Pete Beach/Clearwater area, but if you're interested in an Gulf view (and not just a "water" view), it's worth a call to your hotelier. Carefully choose where you'll stay. Because the ambiance of each area is so different, you'll want to make sure that your accommodations match your expectations. If you're looking for lots of nightlife and restaurants within walking distance, St. Pete Beach or Clearwater are safe bets. 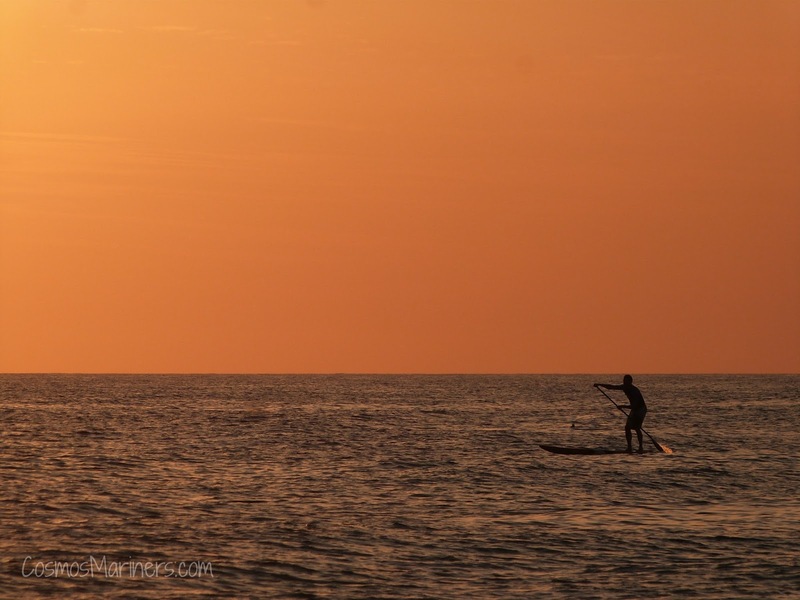 If you'd rather enjoy quiet evenings and uncrowded beaches, head to Pass-a-Grille or Indian Rocks Beach. There aren't many grocery stores directly on the Gulf coast. While there are a few scattered here and there, you might find that the closest grocery store is actually back towards St. Petersburg, Seminole, or Largo. Use that GPS! 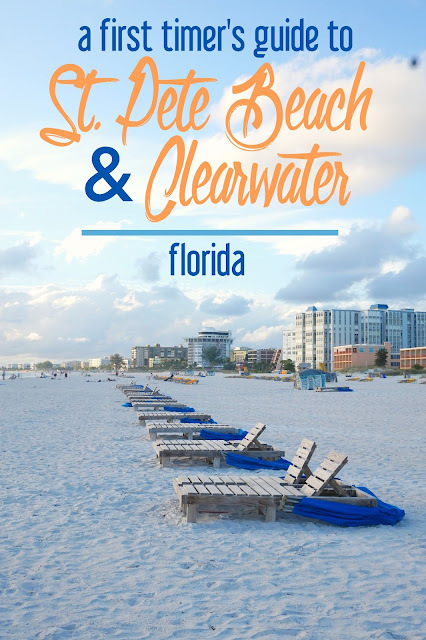 Have you visited the St. Pete Beach/ Clearwater area? What did you like doing there? This post contains affiliate links. If you choose to purchase through one of these links, I will receive a small commission at no additional cost to you. 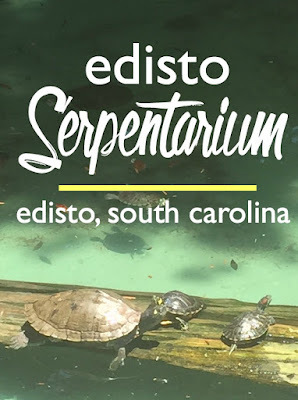 Just after I'd gotten back from St. Augustine, Florida, I repacked my suitcase and headed to Edisto Island, South Carolina, for a week with my husband and his side of the family. It's a tradition to spend a week at the beach there, relaxing and catching up with everyone. 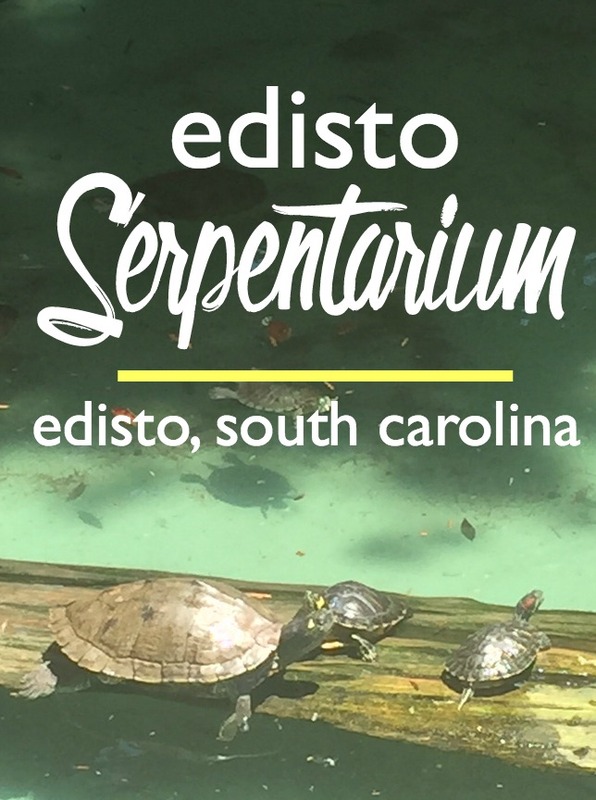 While Edisto has a fairly quiet beach and beautiful sunsets, there are some hidden surprises tucked amongst the huge live oak trees--one of which is the Edisto Serpentarium. Unlike other beach locales (I'm looking at you, Myrtle Beach), Edisto Island is completely devoid of Ripley's Believe or Not museums, Medieval Times restaurants, and neon lights. The fact that there's a reptile exhibit at all on this out-of-the-way stretch of Carolina coast is surprising on its own. But what's even more unexpected is how well done the Serpentarium is.